That’s right! Just when you thought you knew the amygdala was all about fear, along comes new research that changes everything. The amygdalae, situated equally in both brain hemispheres, are an almond-shaped (amygdala is derived from the Greek for “almond-like”) grouping of nuclei, approximately one-inch long and located just a few inches from each ear – inward and in a direction toward the forehead. 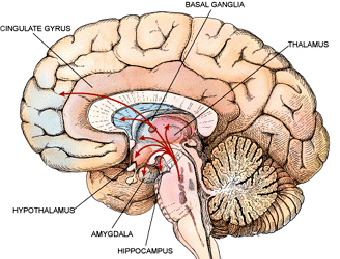 The amygdala (we’ll go with the singular) is considered to be the most primitive component of the brain’s basal ganglia; a grouping of nuclei deep within the brain associated with movement, motivation, emotion, reward, and addiction. It’s a card-carrying member of the limbic system (above). But a new paper suggests this exclusive amygdala/fear dance has got to stop. Enter the work of Wil Cunningham (Ohio State University) and Tobias Brosch (New York University), detailed in a paper soon to be published in the journal Current Directions in Psychological Science. Cunningham and Brosch readily acknowledge the amygdala’s involvement with fear. But they’re quick to point-out it does its thing within the context of other emotions. Yes, the amygdala welcomes pleasant images and happy faces. Makes sense, actually. Scientists were led to the amygdala on their mission to biologically understand the phenomenon of fear. And when the dots were connected, a whole lot of unfair over-generalizations were locked into place. Turns out the amygdala was very much under-estimated. 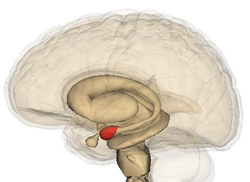 How, then, does the amygdala work? Behind the scenes, the little almond-shaped wonder processes events (and directs indicated action) related to what we care about at any given moment. So, sure, it’ll activate when we’re scared out of our wits. But it also gets to work when we’re in the midst of non-threatening – even warm and fuzzy – circumstances. Now, here’s what I find especially interesting and hopeful about the work of Cunningham and Brosch. In suggesting the amygdala isn’t solely about fear, they’re telling us our definitions of all emotions are likely too rigid. In my mind, that opens the door to understanding what emotions truly are. And that can only lead to more effective interventions for the fallout of those that are troublesome. It’s not unlike accepting presentations of mood along a spectrum, as opposed to cut-and-dried definitions of, say, bipolar I/bipolar II. How more effective the potential treatments when we’re dealing with sensible and cutting-edge perspectives? So that poor amygdala, taking hits for all sorts of fear and misery. It appears as though it was misjudged! 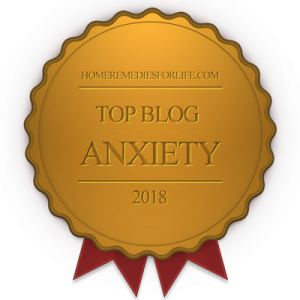 And making things right can only bring hope and comfort to those enduring the mood and anxiety disorders. Thanks to sciencedaily.com for the original scoop. 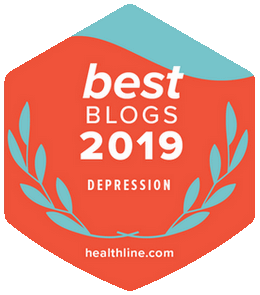 Would you like to read more chipur articles on the biology of depression, anxiety, and bipolar disorder? Well, dig right in. Next Post: We Want You! Previous Post: Your Brain on Stress: New Shtuff!